Class Menu let's you choose the perfect name for your new website. Click the button below to get started! The ClassMenu solution hosts many scheduling sites for several different businesses. It is a great solution for scheduling classes, events and courses. In the coming months we will be featuring several examples of these scheduling sites using PayPal to process their credit card transactions as customers sign up for classes and buy products. ClassMenu.com provides a free trial for all new web site accounts. Feel free to sign up and try out the site for free. When you are ready to upgrade we'll be there to help you get all set up. Be sure to take a look a the demo site as well as the showcase of featured class scheduling web sites using PayPal to process class registrations. A class scheduling web site makes great sense as a central place to process all your client course registrations. With an easy to use credit card processing system, it creates the ideal environment for getting students enrolled on time. Instantly create new courses, classes and events. Allow your customers to register and pay for their classes online and Class Menu will provide you with a detailed list of registered users who have successfully paid. 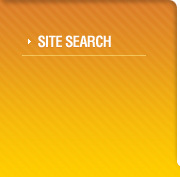 Our powerful solution also includes many value-added modules that will enhance your website's functionality and appeal. Click Here to select your personalized domain name now. Please use the links on the right to select the package that is the perfect fit for your venture. All three of our packages contain the full version of Class Menu with complete suite of bonus modules. The packages differ only in the set-up support level that we provide for you. Working together with Class Menu's staff of designers is the best way to get the most out of our solution. We look forward to working with you shortly. Enjoy complete access to all of the features of our Class Menu Solution in a do-it-yourself format. Our user-friendly interface will have you easily customizing your new website in no time. Imagine how well your website will function when our team of designers and coders are available to you by telephone to help guide you through the entire set-up process! Our Gold Package allows you unlimited set-up support from the very people who designed the Class Menu Solution. Unleash the full talent of the Class Menu technical and design teams. With our Platinum Package, our staff will work with you to completely customize your website with the custom graphics and text that you provide. Our team of experts are available to you via phone and email and will work to implement the specific features that are perfect for your venture. Order the Class Menu Platinum Package today to put yourself on the fast track to success with a team behind you that can't be beat! Don't have a Free PayPal Account yet? Please click on any of the PayPal logos below and get a free account right now. Copyright © 2009 ClassMenu.com. All Rights Reserved.